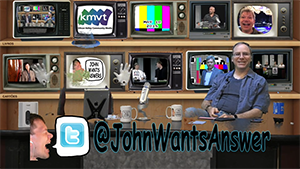 John Wants Answers is an award winning, exciting, topical news, live TV show airing on KMVT 15 (Mountain View, California), City Commons Studio (Nebraska), OPTV (Oradell, New Jersey), CTV (Santa Cruz, California), Midpeninsula Community Media Center (Palo Alto, California), and CMAP 20 (Gilroy, California). Is it the second Thursday of the month between 9:30 pm and 10:00 pm? 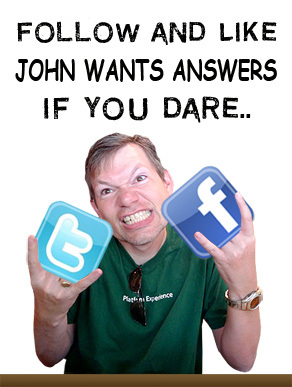 Then watch us LIVE over the Internet! Next episode starts in . We talk about the Eclipse and the Greater Snow Goose. Guest Keith Stattenfield. We talk about North Korea, Healthcare Act, and the Gannet. Guest Keith Stattenfield. We talk about Kittens, Moving Embassies, James Comey, and the Cougar. Guest Keith Stattenfield. We talk about Libraries, Cinco de Mayo, and the Chipmunk. Guest Keith Stattenfield. We talk about Syria, United Airlines, and the Caribou. Guest Keith Stattenfield. We talk about the Confirming Secretaries and the Canada Goose. 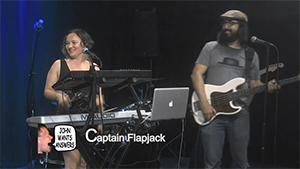 Musical guest Captain Flapjack. Guest Keith Stattenfield. We talk about the California Drought, The Blue Jay, and Election Tampering. Guest Keith Stattenfield. We talk about the Ghost Ship Fire, The Black Duck, and Fake News and the Recount. Guest Keith Stattenfield. We talk about Black Widow Spiders, Black Bears, and Presidential Election Results. Guest Keith Stattenfield. We talk about Replacing Presidential Candidates, the Bison, War with Yemen, and Bob Dylan's Nobel Prize. Special guest Keith Stattenfield. We talk about Standing for the National Anthem, The Bighorn Sheep, and Evil Clowns. Guest Keith Stattenfield. We talk about Living in a Bubble and Black Lives Matter. Plus, it's the world premiere of Hinterland Who's Who in HD! Guest Keith Stattenfield. We talk about the Dallas shooting, turning 50, and Pokemon Go. Plus a video from Eric González. 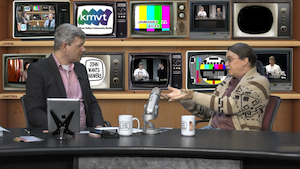 Guest Keith Stattenfield and Loretta Beavers. We were surprised that we were doing a show. We talk about Memorial Day and theme parks. Guest Keith Stattenfield. We talk about Keith crashing his bike on a charity bike ride and who can win the party nominations. Guest Keith Stattenfield. We talk about the Zika Virus. Special musical guest Captain Flapjack and the Syrup Sisters. Guest Keith Stattenfield. We talk about the Super Bowl 50 in Santa Clara and Primary Elections. Guest Keith Stattenfield. We talk about the Oregon occupation in the Malheur National Wildlife Refuge. Guest Keith Stattenfield. We show off crisp clean new $2 bills, remember war hero Yosh Tamaki, and learn a quick new way to tie shoes. 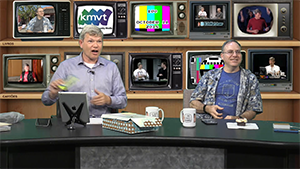 Guests Keith Stattenfield and Scott Knaster. We talk about Remembrance Day, $2 Bills, and Starbucks Cups. Guest Keith Stattenfield. We talk about the Oregon Shooting and Ahmed Mohamed. Guest Keith Stattenfield. We talk with special guest comedian Matt Kirshen about Last Comic Standing, how to say things in British, and new comedy shows in back alleys. We talk about Labour Day and not getting marriage licenses in Kentucky. Guest Keith Stattenfield. We talk about Alaskan Bears and 2016 Presidential Candidates. Guest Keith Stattenfield. We remember Ellie Stone and talk about the Confederate Flag. Guest Keith Stattenfield. Watch us pit pizza delivery companies against each other, and talk a little about the FIFA scandal and NBA finals. Guest Keith Stattenfield. 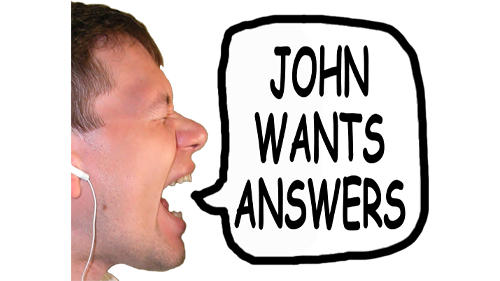 We talk about Yemen, had a weather report, and John competes with guest Keith Stattenfield during the spelling bee. We talk to Jennylyn Gleave of Eternal Beauty Skin and Laser about Medical Cosmetic Spas. We talk to a young Abdullah Faiez about making iOS apps. 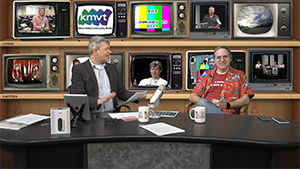 We talk with renowned author Scott Knaster about the upcoming Steve Jobs movie and Tales from Silicon Valley. We talk about the Keystone Oil Pipeline and Oil Prices. Guest Keith Stattenfield. 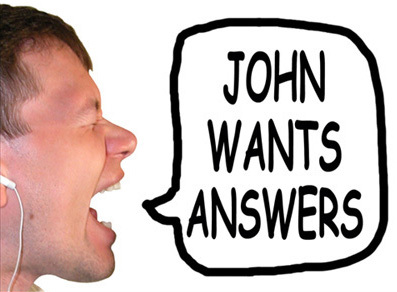 We talk about Common Law Marriage and Midterm Elections. Guest Keith Stattenfield. We talk about Ebola and ISIS/ISIL. Guest Keith Stattenfield. We talk about Amyotrophic Lateral Sclerosis (ALS). Guest Keith Stattenfield. We talk about Depression and the California Drought. Guest Keith Stattenfield. We talk about the World Cup and Eric Cantor. Guest Keith Stattenfield. We talk about Diabetes. Guest Keith Stattenfield. Trouble in the Ukraine and Missing Malaysian Airlines Flight. Guests Keith Stattenfield and jazz singer Shirley Brown. We talk with fashion experts Armando Sarabia and Jennylyn Gleave about tips for geeks, nerds, and dorks. We talk about the Olympics. Guest Keith Stattenfield. We talk about Squash the Cat and the legalization of marijuana. Guest Keith Stattenfield. We talk about the War on Christmas, along with all the other holidays of the season, including Thanksgiving, Black Friday, Hanukkah, Christmas, Boxing Day, Kwanzaa, and New Year's Day. Guest Keith Stattenfield. We talk about the planning commission with planning commissioner Keith Stattenfield. Plus, JD Charisma comes on to talk about his new movie My Everything and sings a song from the film. 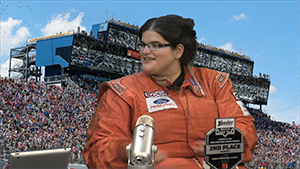 We talk about the federal government shutdown, and also bask in the glow of our awards nominations and the great episode we did last week. Guest Keith Stattenfield. We talk about the movie Jobs, the biopic about Steve Jobs, with some of the real-life characters who were in the movie. Guests Steve Wozniak, Daniel Kottke, and Andy Hertzfeld. We talk about Syria. 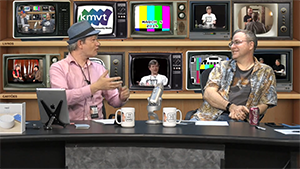 Guest Keith Stattenfield and David Ledesma. We talk about transgender people. Guest Lisa Lippincott. We speed though the topics of NSA spying on us, the repeal of the Defence of Marriage Act, Egyptian Revolts, and the plane crash in San Francisco. Guest Keith Stattenfield. 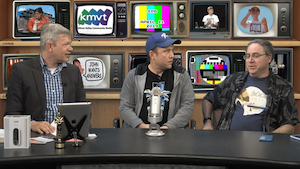 We talk about Municipal Government, the City of Cupertino, and Apple. Guest Orrin Mahoney, Mayor of Cupertino. We talk about Judaism with Nice Jewish Lady Barbara Knaster. 2013 WAVE Award Finalist! We talk about North Korea, plus Roger Ebert, the Wrong Guy, and play Hilarious or Creepy. Guest Keith Stattenfield. Comedian Jim Short joins us on the show. 2013 WAVE Award Finalist! 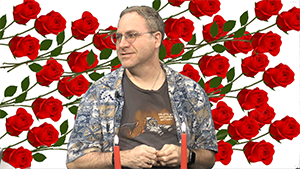 To celebrate Valentine's Day, John and Keith talk about romance. They also discuss the resignation of Pope Benedict XVI and the papacy. Topic is Gun Control. Guest Keith Stattenfield. 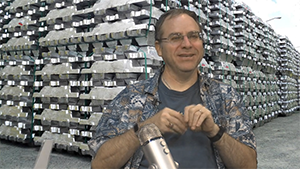 Plus Joe Engel stops by and plans some flutes he made. Topic is Prostate Cancer and we compare our Movember moustaches. Guest Dr. L. Matthew Scala. 2013 WAVE Award Finalist! Topic is Electoral College. Plus we talk about our big WAVE Awards win. Guest Keith Stattenfield. 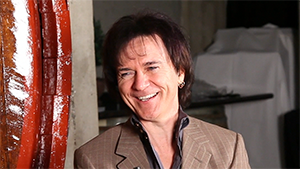 We talk with special guest Lawrence Gowan. Larry is a Canadian music superstar, and the keyboardist and vocalist for classic American rock band Styx. We talk about his career in Canada, his career in Styx, and the new solo material he's working on. 2013 WAVE Award Finalist! Topic is Burning Man. 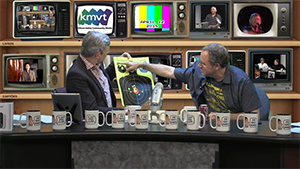 Guest Daniel Kottke. 2013 WAVE Award Finalist! 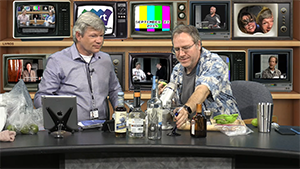 Topics are Mars Landing, Photos of Iceland, and Anniversary of the World Wide Web. Guest Keith Stattenfield. Topic is Being Gay. Guest Armando Sarabia. 2012 WAVE Award Winner! Topic is First Amendment. Guest Keith Stattenfield. Musical guests Scott D. Davis and Michele McLaughlin. Topics are Dental Hygiene and the Netherlands. 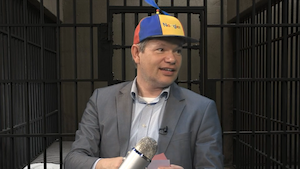 Guests Deetrian Meacham and Henk de Kwaadsteniet. 2012 WAVE Award Finalist! Topic is Trayvon Martin. Guest Keith Stattenfield. Musical guest JD Charisma. Topic is Bone Marrow. Guest Stacie Tamaki. Links to the websites mentioned in this episode are available at Stacie's blog post here. 2012 WAVE Award Finalist! Topics are Susan G. Komen for the Cure and Proposition 8. Guest Keith Stattenfield. Topic is Jury Duty. Guest Keith Stattenfield. Topic is Property Tax. Guest Keith Stattenfield. Topics are Dennis Ritchie and Occupy Wall Street. Guest Keith Stattenfield. Musical guest Casey Heney. Topics are Steve Jobs, Republican Presidential Candidates, and Occupy Wall Street. Guest Keith Stattenfield. Topic is Hurricanes. Guest Keith Stattenfield. Musical guest Hello Dali. Topics are the Debt Limit, Swedes making Nuclear Reactors, and getting old. Guest Keith Stattenfield. Musical guest Casey Heney, plus comedian Nick Newton. Topics are the California State Sales Tax and Espresso. Guest Keith Stattenfield. Special guest appearance by Nicole Thomas. Topics are the Rapture, Congressman Weiner, Paul Revere, and Dominique Strauss-Kahn. Guest Keith Stattenfield. Special guest appearance by Armando Sarabia. Topics are Debt Ceiling, Death of Osama, and England. Guest Keith Stattenfield. Topics are Unrest in Libya, the Budget Crisis, and Obama's Citizenship. Guest Keith Stattenfield. Topic is Unrest in the Middle East. Guest Keith Stattenfield. Musical guest Casey Heney. Topic is Black History. Guest Keith Stattenfield. Musical guest rock pianist Scott D. Davis. Topics are the Repeal of Don't Ask Don't Tell and the Tragedy in Tucson. Guest Keith Stattenfield. Topics are TSA and WikiLeaks. Guest Keith Stattenfield, Musical guest Jonathan Mann and the Rock Cookie Bottoms. Topic is Veteran's Day, Remembrance Day, and Elections. Guest Keith Stattenfield. Topic is Baseball, the World Series, and the San Francisco Giants. 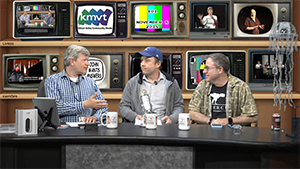 Guest Scott Knaster. Topic is Proposition 8. Guest Keith Stattenfield and Timothy Drury of Whitesnake. 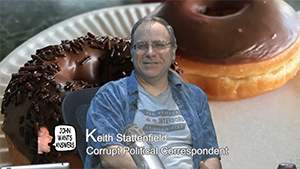 Topics include Russian spies, FIFA, and the Gulf of Mexico Oil Spill, Guest Keith Stattenfield. 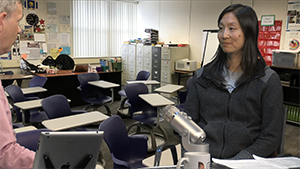 Topics include California Elections, the Supreme Court, and the Census. Guest Keith Stattenfield.